Indiewire Chats with Twitter's Fake Nikki Finke: "For the first time, Finke seems to be quite vulnerable." Nikki Finke, who’s been sitting atop the Hollywood industry news food chain thanks to her unique style of journalism, as seen in her LA Weekly columns (which ran from 2002-2009) and her current Deadline Hollywood blog, has been in the news lately herself for reasons that are less than favorable for her image. She’s garnered attention for writing a series of pieces in response to this weekend’s Aurora shootings about the prospects of “The Dark Knight Rises” at the box office and slapping Bret Easton Ellis and his talent agency with legal threats for tweeting that he lives in the same apartment complex as the famed journalist. Despite these litigious tendencies, an unnamed man in Los Angeles is having some fun with Finke’s name, running the Twitter handle @NIKKlFINKE (in all caps that’s @NIKKLFINKE), using it to poke fun at the reclusive journalist’s predilection for cats (e.g. : “Next week is Meow Zedong’s birthday.”) and spout off some genius faux Deadline headlines (e.g. : “Happy Madison and Kevin James Prepping Broadway Musical Debut ‘I Get Hit in the Crotch and Sing’,” “Former Universal Exec ‘Pretty Sure’ He Was on LSD When He Greenlit Battleship”). Earlier today, Indiewire chatted with the masked updater. So what provoked you to create the Twitter feed? Haha. What was your relationship to Nikki Finke’s persona before that? Do you work in the film industry? Are you asking did I know her directly, or was I just familiar with her beforehand? Well, what was your knowledge of her? It seems to be pretty extensive, based on some of the tweets for faux stories that we’ve been kicking around in the office. I certainly don’t know her, but I would say I’m fairly familiar with Nikki Finke. I’ve gleaned a lot of stuff from reading Deadline and articles and discussions about her from other journalists. However, I don’t know if I would characterize that as meaning “pretty extensive.” And no, I actually do not work in the film industry, though I do know plenty of people that do. So have you had any contact with her (the threat of a lawsuit perhaps)? No, I have not. When creating the account, I assumed the endgame was her threatening me with a lawsuit in like six hours, which somehow did not happen. There has been a lot of disappointment in Finke in the last few weeks, with an insentitive TDKR quote and her lawsuit against Bret Easton Ellis gaining a lot of attention. Did that factor in your launching the account? Absolutely, I don’t think I would have created the account if it were not for those recent incidents. For the first time, Finke seems to be quite vulnerable. Is this the only time when you get to be funny for the public? We’re impressed with your sense of humor. Thanks. Yes and no, I do use Twitter personally to make weird jokes, but I wouldn’t say I really have a public audience like I do with this account. Have you been surprised by any reactions? There were a surprising number of people who didn’t realize this was a parody account, which I thought was a given with the bio and all. Any next steps for you that you want to divulge without revealing too much of your identity? Not really. I hope that answer isn’t too disappointing. Well, is there anything else you’re willing or eager to admit about yourself, and then i can let you get back to work or whatever you’re up to? I guess I can say I live in Los Angeles, which is probably the least helpful clue I can think of as it doesn’t narrow down the field of candidates one iota. I also woke up today feeling that I definitely need a haircut, and I’m also prematurely graying. So you share with Nikki the desire not to be photographed? I actually do. 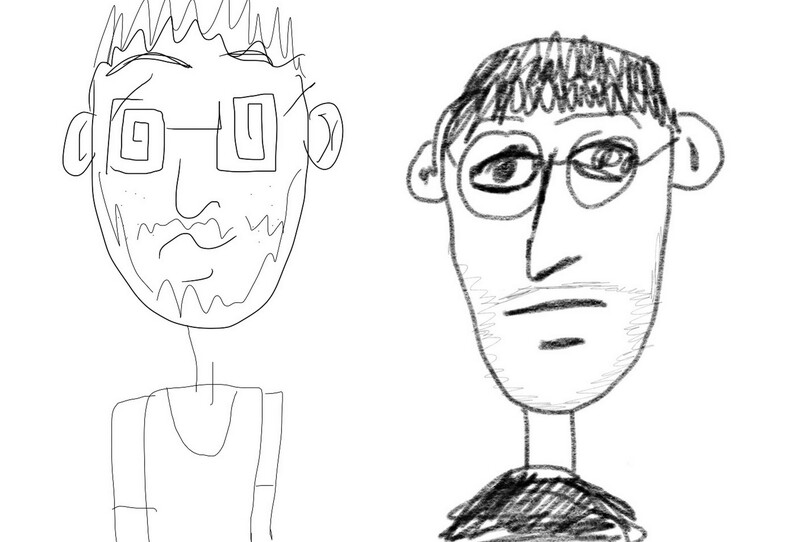 I am much more into doodling really crude self-portraits than photographs. I don’t know, maybe she paints watercolors of herself as a Thundercat or something.